Injection molding is a manufacturing process wherein melted material is injected into mating pre-machined molds to form the desired part shape. Injection molding is performed using a variety of materials, including metals, and glass, but is most commonly associated with thermoplastic and thermosetting polymers. Prior to molding, the raw material is heated until it is reaches a molten state. After the desired temperature has been reached, the material is injected at high pressure into the center of the molds, called the cavity, via a rotary screw mechanism which dispenses a pre-determined amount of the material. The high pressure is needed to ensure that the material flows to fill all of the voids in the cavity to create a part with a consistent density and no defects. After molding, the part must cool and cure before it is released from the mold. As the part cures, its dimensions become stable, but if the part is released from the mold prematurely, inherent stresses can cause deformation. Once the material solidifies and cures, the molds are separated and the product is released. The molds are then reseated and new material is injected, beginning the cycle again. Injection molding is a very efficient process that typically incorporates a high degree of automation. As mentioned, the parameters and timing of the process are critical to achieving satisfactory results, but once these variables are set, the process is remarkably consistent and typically requires minimal intervention from an operator. Because the material must be injected at high pressure, molds must be machined from high strength materials. This does mean a considerable up-front cost in tooling, but the cost is typically recovered quickly for medium to high volume parts, as injection molding is much more efficient that other molding processes. 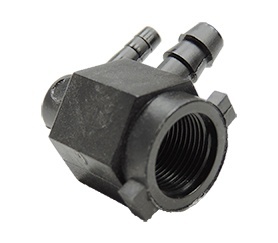 Injection molding offers a great deal of design freedom, as complex shapes can be formed using special cores or custom molding systems to accommodate unique part features. 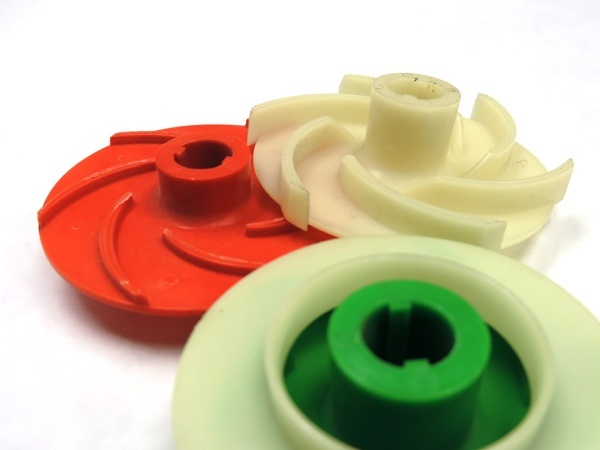 Overmolding and insert molding are specialized injection molding processes that provide the capability of molding directly onto another part to create a completely bonded assembly in a single molding cycle. 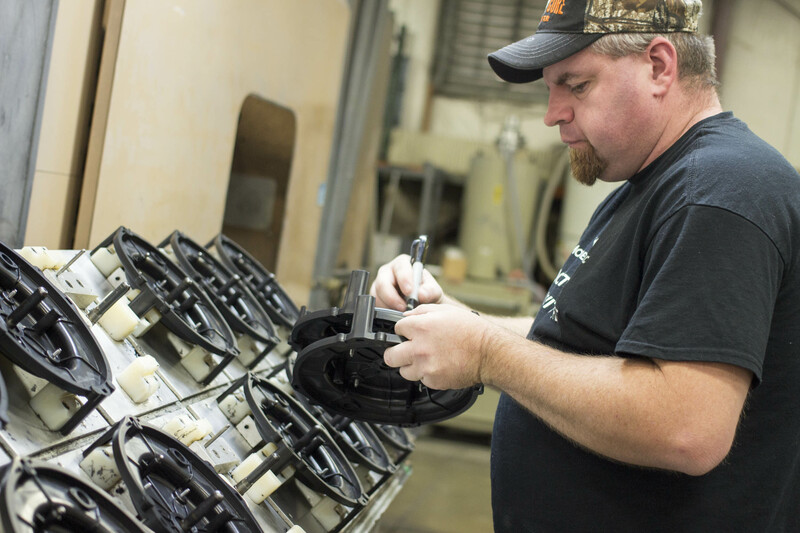 Partnering with an experienced and knowledgeable injection molding company is critical to ensuring the quality and cost of final parts. At K&B Molded, we can provide assistance regarding all aspects of the injection molding process from mold design to final packaging.